When considering the installation of a security system in your home or business property you may wonder if it is really necessary to obtain an alarm permit. If you are planning on doing the installation yourself you most likely won’t need one. However, if you want to activate and operate that security system then not having a permit can result in a fine. A home security permit is compulsory if you wish to operate an alarm-based system coupled with emergency response features, or if you want the option of remote monitoring. The exact rules and regulations regarding the acquisition of alarm permits will largely depend on your local governments’ laws and regulations which you can find here. Being issued with an alarm permit simply means that you registered your alarm-based system with your local authorities or emergency responders. An alarm permit is sometimes also called a monitoring license fee and is usually mandatory for city dwellers. This is because apartments are right next to each other and can possibly become a fire hazard to a whole building if there are no immediate emergency responders on the scene. An alarm licence should not be confused with an alarm permit. Registered installers of alarm security systems all have alarm licenses which are obtained by state agencies. Security licensing allows professional security companies or individuals to install and maintain fire or burglar alarms. Alarm licenses ensure that all parties know the level of professionalism of the servicing agent when you are upgrading your home’s safety. You can apply at your city’s governmental offices or submit an alarm permit application at the local Sheriff’s Department. The local city hall may also be able to help you and in some cases, you can even register online when browsing through your city’s governmental website. You will have to pay an accompanying fee either online or in person to finalize your permit registration. Some alarm permits may need to be renewed annually although most permits are granted on a one-time basis. Factors that can influence the necessity of a yearly permit renewal may include your age and the connection status of your automatic fire or security alarm system. Having an alarm permit may not be a priority for first-time alarm owners, but not investing in one can have a significant effect on your safety. The main reason you need to apply for an alarm permit as soon as possible is that most police departments fail to respond if they do not have a valid alarm permit on record. This means that in the case of an actual emergency you could put your safety at risk and you may also lose valuable possessions. False alarms without alarm permits usually result in higher fines which increases with every unnecessary response from police officers or firefighters. Depending on local city rules and regulations regarding alarm permits you may need more than one. If you have a smoke detector and a burglar alarm then it is vital to find out whether you need separate fire and burglar alarm permits. Some single alarm permits cover all monitoring security systems which would then require you to only have one. It is crucial that you relay all your emergency contact information and your permit number to your alarm monitoring company. Always make sure that your information on file is regularly updated in case of a new permit number or a change in contact details. If you move to a new house and there is already an existing alarm system installed, you will have to re-apply for a new permit for that security system. A false alarm can be defined as an alarm signal that your local authorities responded to, but upon arrival, there was no actual emergency. Most first false alarms are overlooked by officials but a fee will still be charged if this is a regular occurrence, even if you have an alarm permit. 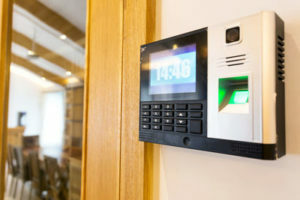 To minimize false alarms it is important that you educate all household members on how to properly operate the security systems in your house. However, if a false alarm does occur cancel the emergency call out as quickly as you can before any emergency officials arrive. This will ensure no extra fees are charged to your monthly security account. Although you do not need an alarm permit to install a security system in your home, it would benefit you a great deal in the long run. After all, installing your security system is only the first step in upping the safety of your residential or business property. Operating your security system with an alarm permit will ensure an official security response within minutes of a triggered alarm, thereby providing peace of mind for you and your family.